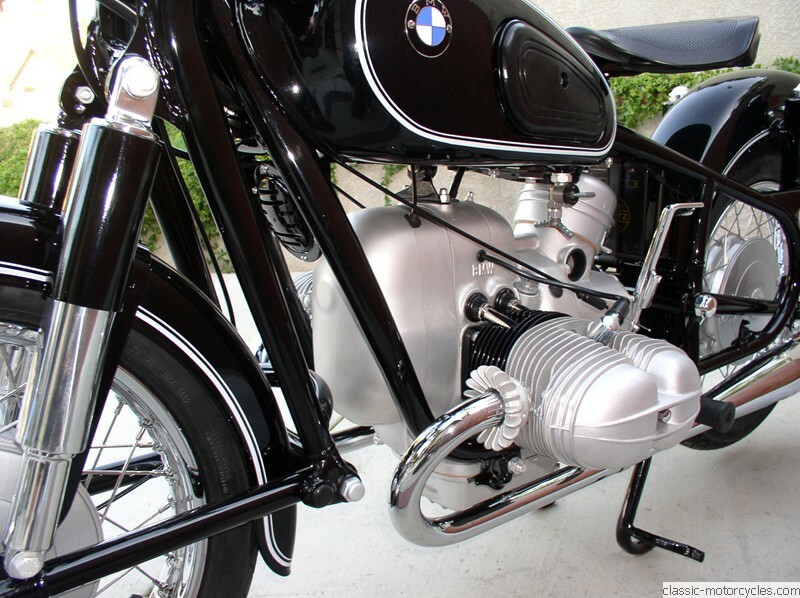 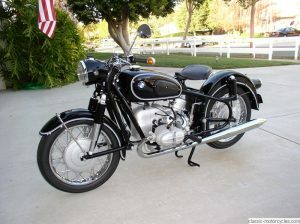 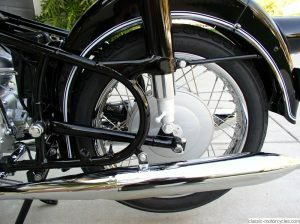 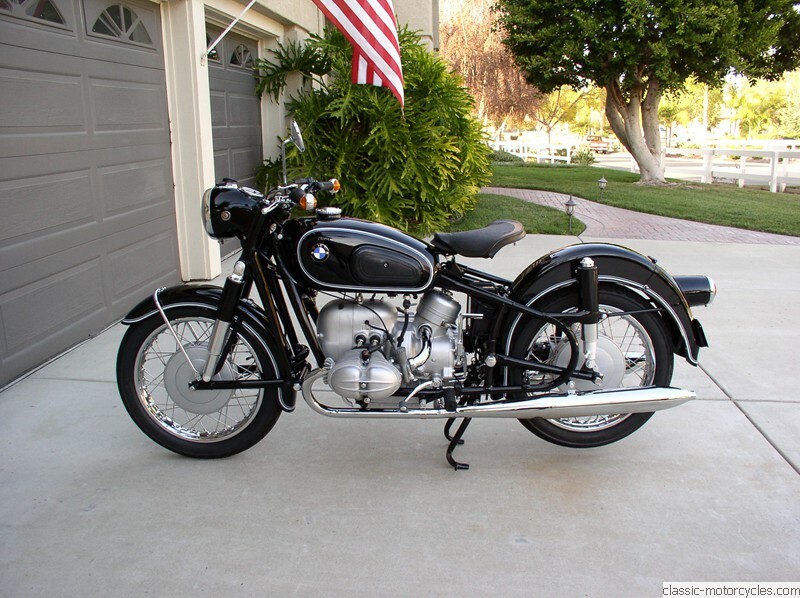 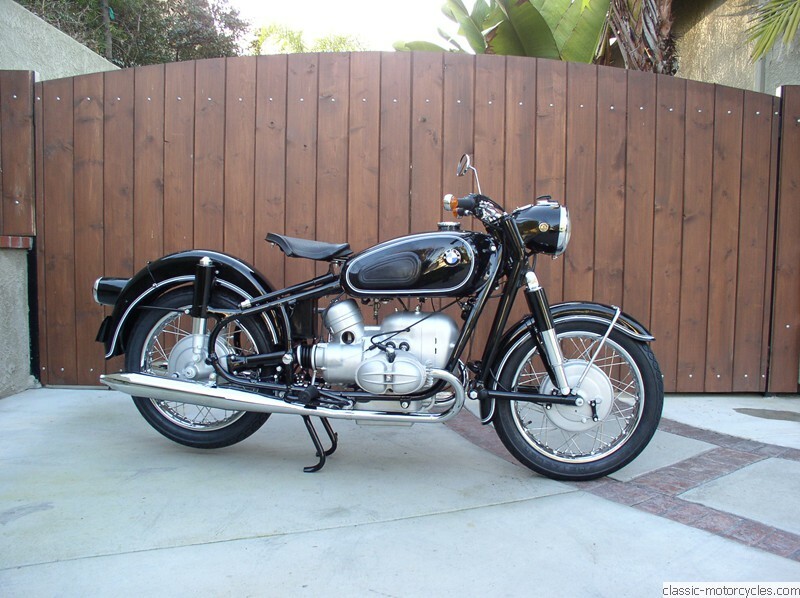 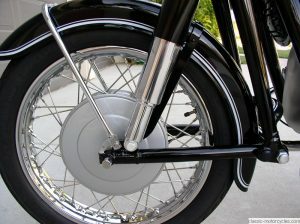 The R69 was built by BMW between 1955 and 1960; only 2,954 were built. 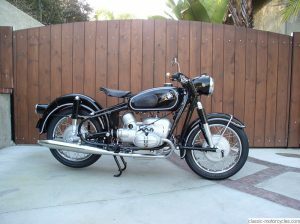 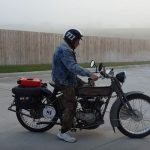 This motorcycle is from the last production year — 1960. 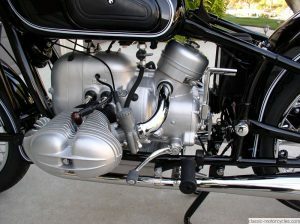 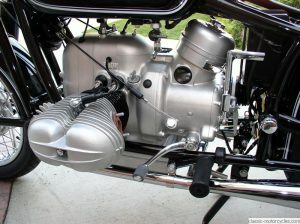 It’s a four-stroke two cylinder flat twin with 590cc. 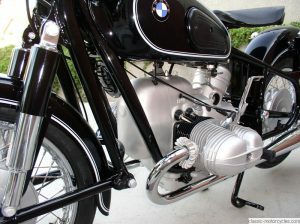 It has 35 HP and a top speed of about 100 mph. 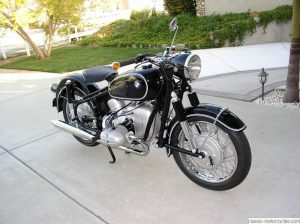 It was designed as a luxury touring machine. 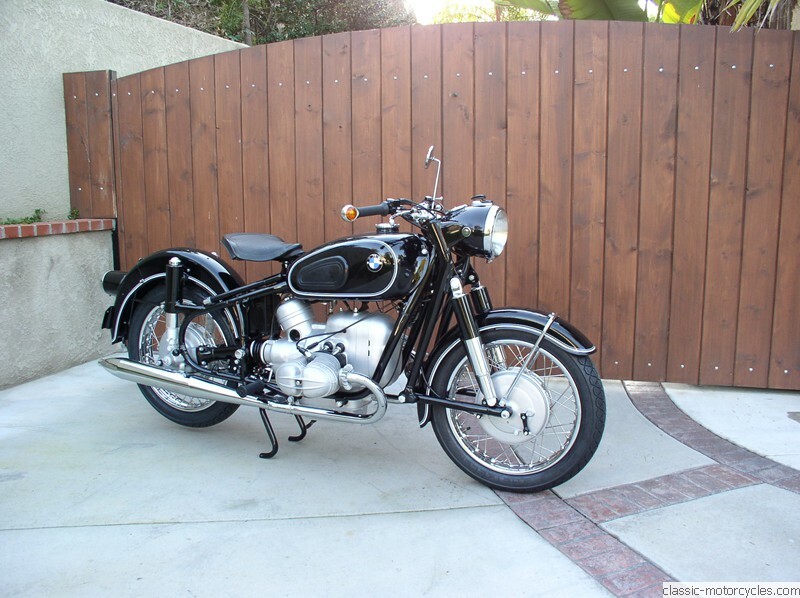 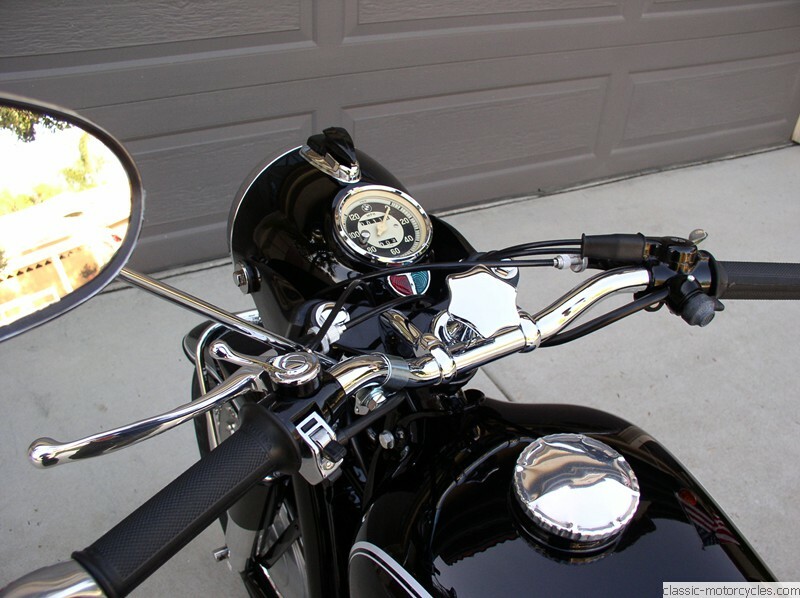 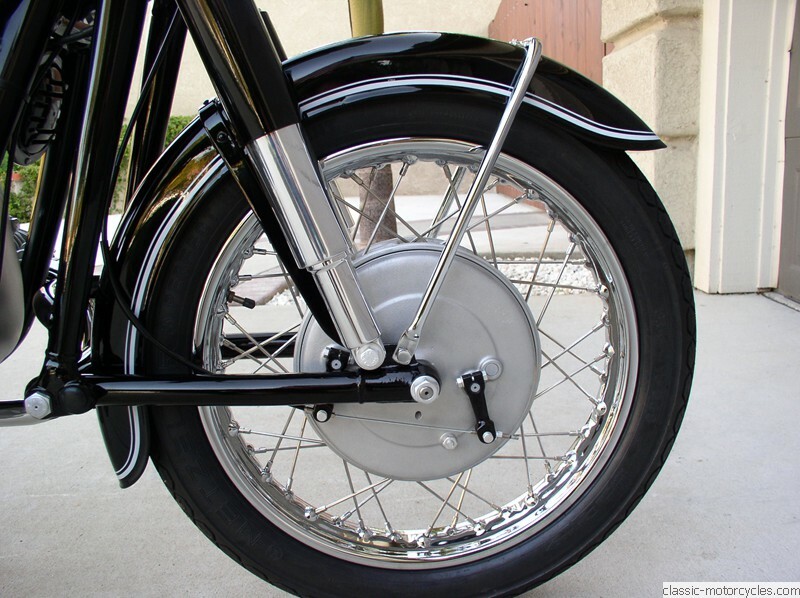 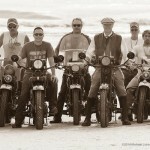 This motorcycle was restored in the spring of 2013 by Ziggy of Classic Motorcycles. It was a ground up restoration — powder coat, paint, polishing, chrome, cad plating and a lot of NOS parts. 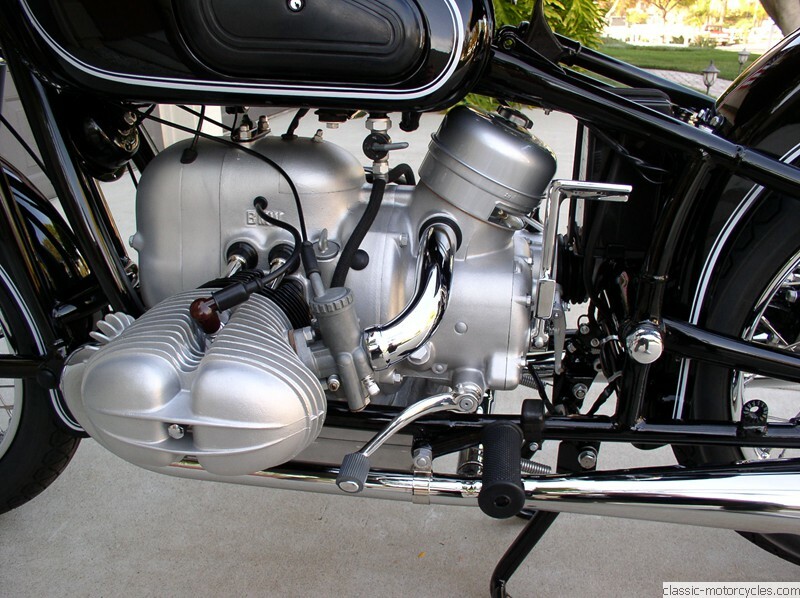 Mechanically much was done as well: the crankshaft was rebuilt, cylinders re-bored, new pistons installed and the transmission was rebuilt.